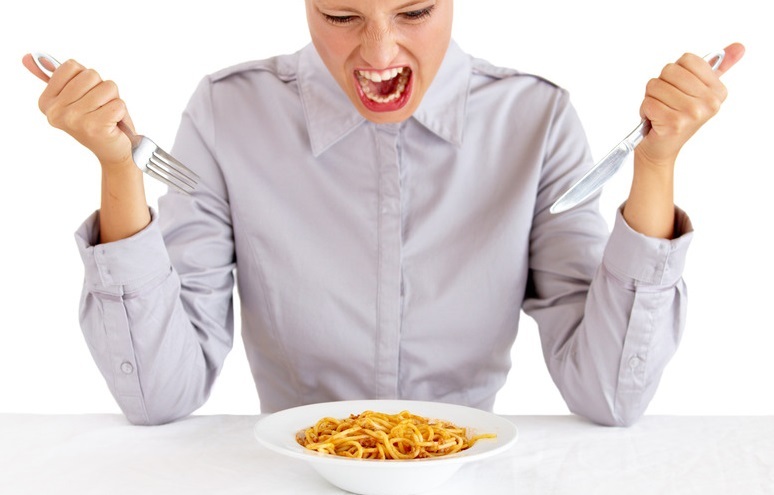 Hunger control problems are behind most failed attempts at weight loss. The #1 weight loss problem that I help people with is, by far, sticking to their diet. This is especially the case with people that are new to a healthy weight loss regimen, which requires that you remain in a caloric deficit for many weeks, as opposed to a crash diet that you suffer through for a short period of time. The overall experience of being in a caloric deficit varies dramatically. For some (lucky bastards), it causes little-to-no uncomfortable symptoms–no hunger issues, no cravings, no energy lows. For others (the rest of us mere mortals), it can get quite tough due to hunger pangs, intense cravings (usually brought on by simple hunger), and a lingering lethargy (which can be particularly bad when you go low-carb). What gives? And what can we do to stave off hunger and stick to our diets? Our natural eating instincts are regulated by three hormones: insulin, ghrelin, and leptin. When we haven’t eaten in several hours and our bodies have finished metabolizing and absorbing the nutrients in our last meal, insulin levels drop to a “baseline” level (because insulin’s job is to shuttle food’s nutrients from the blood into the cells for use). Ghrelin levels then rise, which stimulates hunger. When you eat food leptin levels rise, which “turns off” the hunger. Now, when you’re in a caloric deficit, circulating leptin levels decrease, and ghrelin levels increase. And as you lose body fat, leptin levels drop even further. The net effect of this is dieting for weight loss just generally makes you feel more hungry, and makes meals feel less satisfying. Realize that your body’s goal is to attain an energy balance–it wants to consume as much as energy as it uses. It doesn’t want to be in a deficit. When you listen to your natural instincts and eat more than you planned, it doesn’t take much to halt your weight loss. Just a few extra bites of calorie-dense food at each meal can be enough to eliminate the deficit and stick your weight. That’s why keeping hunger under control is so important when dieting for weight loss. If we give in, we fail to lose weight. If we try to suffer through it, we want to run people off the road. Fortunately, defeating hunger isn’t too hard when you know what you’re doing. While dieting for weight loss will never be as generally satisfying as eating maintenance calories or a surplus, there are strategies you can use to make it as enjoyable as possible. I use many of these myself and, knock on wood, find dieting relatively easy and pain-free. Get 30-40% of your daily energy from protein, and include some in each meal you eat. When you’re dieting to lose weight, protein is your best friend. It helps you preserve muscle and results in basically no fat storage, and research has shown that a high-protein diet reduces overall appetite, possibly by increasing leptin sensitivity (so you feel fuller and more satisfied by the food you eat). Take advantage of this by getting 30-40% of your daily calories from protein, and include some in every meal you eat. Don’t heavily restrict your carbohydrate intake. I always hated low-carb dieting because it caused significant declines in strength (due to lower glycogen levels), but also because it just made me generally more hungry. Now I know why. Dietary fat just isn’t very effective at increasing leptin levels, and research has shown that low-carb, high-fat diets reduce 24-h circulating leptin levels. High-fat diets are basically a recipe for reduced satiety. It’s also possible that dietary fat induces leptin resistance (meaning that leptin’s signals become blunted), which has been demonstrated in animal research. Carbohydrate, on the other hand, dramatically increases leptin levels, and the more carbs you eat, the higher your 24-h circulating leptin levels are. A high-protein and moderate-carbohydrate diet makes for a double-whammy of satiety. In conclusion, a low-fat diet, high in protein and fibre-rich carbohydrates, mainly from different vegetables, fruits and whole grains, is highly satiating for fewer calories than fatty foods. This diet composition provides good sources of vitamins, minerals, trace elements and fibre, and may have the most beneficial effect on blood lipids and blood-pressure levels. Fiber is an indigestible portion of food that absorbs water as it moves through the digestive tract, and helps you take good poops (yup). Research has also shown that it increases satiety. Keep your fiber intake high by eating plenty of fibrous vegetables and fruits (I include one or other in every meal). You can even using supplementary fiber like psyllium seed husks, which rapidly expand in your stomach and induce a feeling of fullness. Nuts not only contain protein and fiber to increase satiety, but they are a great source of healthy fats as well. Studies have also associated frequent nut consumption with a reduced risk of weight gain. Research has shown that drinking a couple of glasses of water with each meal increases satiety while eating. The glycemic index (or GI) is a scale that measures the effect of different carbohydrates on one’s blood sugar level. Carbohydrates that break down slowly and release glucose into the blood slowly are low on the glycemic index. Carbohydrates that break down quickly will release glucose into the blood quickly, causing insulin levels to suddenly spike, and are high on the glycemic index. Below 55 on the GI is considered low, and above 70 is considered high. Pure glucose is 100 on the GI. Research has shown that the rapid absorption of glucose that occurs after eating high-glycemic carbohydrate induces a sequence of hormonal and metabolic changes that result in the desire to eat more. Furthermore, most high-glycemic foods are processed junk, with little nutritive value. Replace them with unprocessed, low-glycemic alternatives and you’ll be better off in not just the hunger control department, but general health as well. If you want to learn more about where various carbohydrates fall on the glycemic index, go here and here. Research has shown that eating slower helps reduce the amount you need to eat to feel satisfied. So take your time, chew your food, and enjoy each bite. Forskolin. This increases blood plasma and intracellular levels of a molecule known as cAMP. When cAMP is high, it signifies a lack of ATP (the most basic form of cellular energy in the body) and thus initiates a process to make more ATP by burning through energy reserves (body fat). 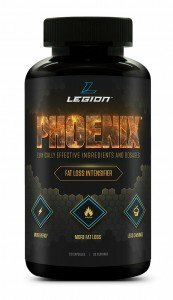 Research has shown that supplementation with forskolin accelerates fat loss and increases testosterone levels. When you restrict your sleep, leptin levels drop and ghrelin levels rise. One study found that people that slept 5 hours had 15% lower leptin levels and about 15% higher ghrelin levels than people that slept 8 hours. Unsurprisingly, researchers found that the less people slept, the fatter they generally were. Sleep needs vary from individual to individual, but according to the National Sleep Foundation, adults need 7-9 hours of sleep per night to avoid the negative effects of sleep deprivation. What’s your take on weight loss and hunger control? Have any tips that have helped? Let me know in the comments below!